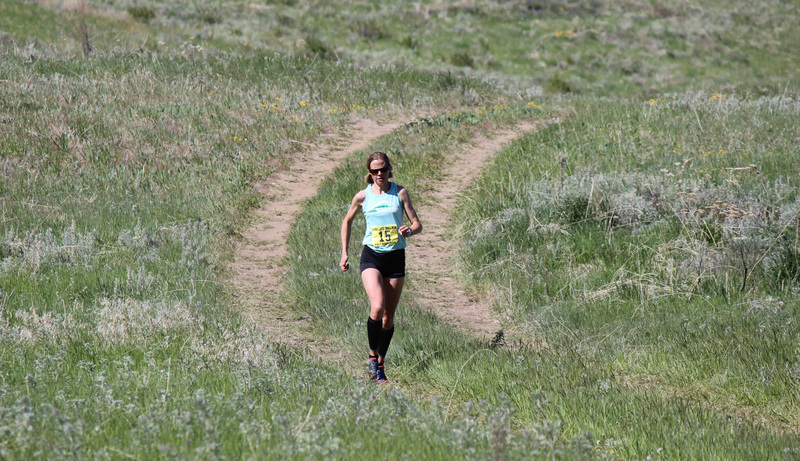 Marlene Farrell sits atop the Wenatchee Valley Trail Run Series women's long-course standings after one event. WENATCHEE — More than $1,000 in prize money is up for grabs in the Wenatchee Valley Trail Run Series, and — thanks to their showings at the Horse Lake Trail Runs on May 10 — four runners are a step ahead in nabbing some of that cash. Topping the long-course standings are Peter Harrison of Seattle (men) and Marlene Farrell of Leavenworth (women). Leaders in the short-course standings are Taija Corso of East Wenatchee (men) and Alice Burck of Ephrata (women). With two races to go, Seattle's Peter Harrison leads the men's long-course standings. 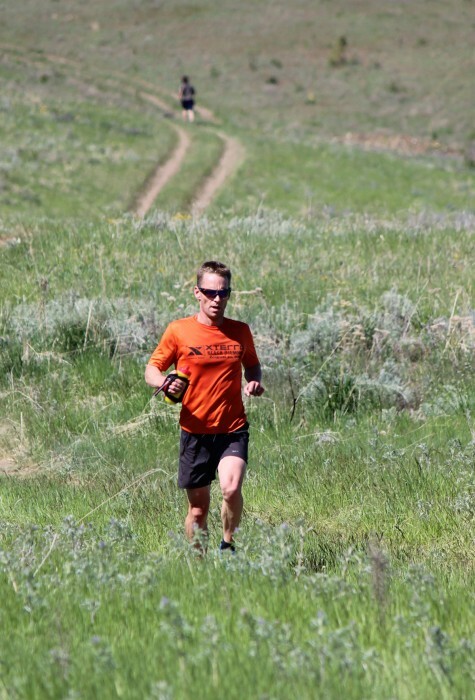 Next up in the RunWenatchee-organized series are the June 8 Red Devil Challenge 25K and 10K Trails Runs in the Wenatchee National Forest south of Cashmere. The series concludes June 22 with the Bavarian Battle 10-Mile and 8K Trails Runs at Leavenworth Ski Hill. The standings are determined by giving points to top finishers, based on order of finish. At each race, first place is worth 10 points, second place is worth 9 points, third place is worth 8 points, all the way down to ninth place, which is worth 2 points. All other finishers get 1 point. At the end of all three races, the winners of the long-course division (both men and women) will receive $200 each, with second-place finishers collecting $100 each and third-place finishers going home with $50 each. In the short-course division, the male and female winners will receive $100 each, runner-ups will get $50 each and the third-place finishers $25 each. 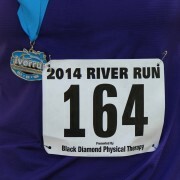 “There also will be a ‘Trail Runner Award’ given to a male runner and a female runner who compete in all three races and who exhibit will power and determination — and all with smiles on their faces,” Rhyner said. 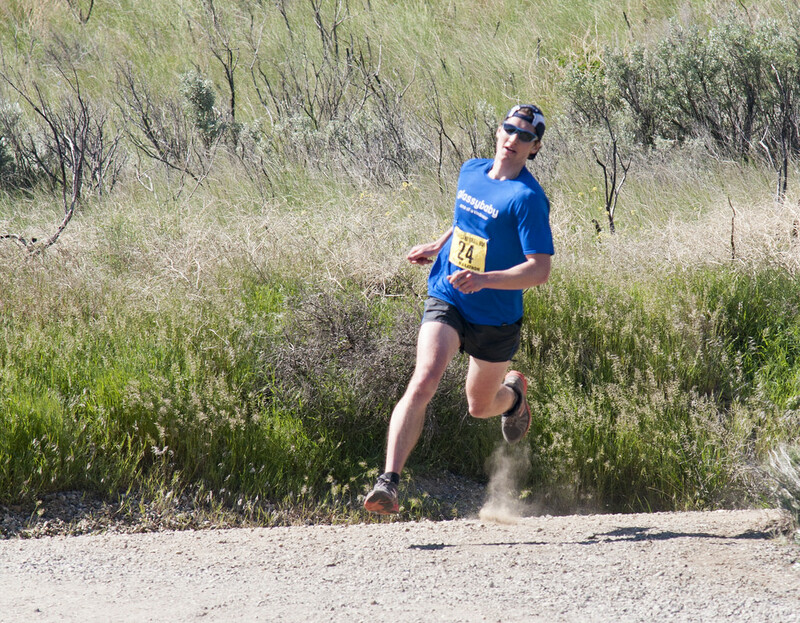 Wenatchee's Mike Broxson begins the descent to the finish line at the May 10 Horse Lake Half-Marathon.